The main housing division is comprised of four (4) teams. These four teams are assigned to 12.25 hour rotating shifts that alternate on a twenty-eight day cycle between days and nights. The Housing Officers direct the day to day operations in the Housing Units. They are responsible for the custody and care of the inmates in their assigned units. This includes maintaining proper security; conducting rounds and periodic counts of inmates; maintaining proper order and decorum among inmates; searching inmates; ensuring that the living quarters of inmates and the areas for which they are responsible are kept in a sanitary condition; issuing supplies to inmates; supervising the meal service; checking incoming and outgoing mail; supervising work details of inmates in their units; documenting events, infractions of rules and any unusual occurrence; acting as a resource for inmate inquiries; and performing other duties as may be assigned. 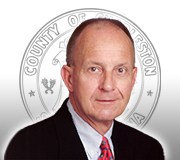 The Sheriff Al Cannon Detention Center utilizes two different styles of inmate housing. The first being direct supervision and the second is open bay housing. 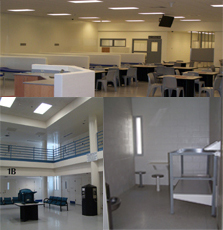 Direct supervision housing is where the inmates' cells are arranged around a common area, usually called a "dayroom". An officer is stationed in the unit with the inmates. The officer moves about the unit and interacts with the inmates to maintain security in the unit. There is no secure control booth for the supervising officer and there are no physical barriers between the officer and the inmates. The officer will have a desk for paperwork, but it is in the open dayroom area. These units house our higher security inmates and have structured schedules for recreation and other activities. Open bay housing is a large open room with no inmate cells. Inmates are assigned to bunks areas that surround a dayroom. The officer desk area is situated in the room where all inmate activity can be easily observed. The officer moves about the unit and interacts with the inmates to maintain security in the unit. These units house lower security inmates and have a less structured schedule for recreation and other activities. Inmates are assigned to these different housing units based upon their classification levels determined at processing. Classification levels are determined on the inmates' prior criminal history and behavior. Once housed in the units all inmate activity is conducted within the unit with the exception of medical care and court appearances. 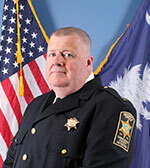 The SACDC is the first SOG in the state of South Carolina, through US C-SOG. 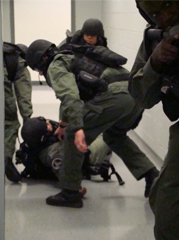 These officers are specially trained to handle potential high-risk inmates, riots, hostage situations, escapes, and cell extractions. 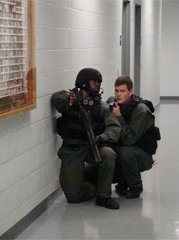 SOG has taken a proactive role in security, tactical response, and safety; thus actively increasing officer safety and decreasing inmate violence. 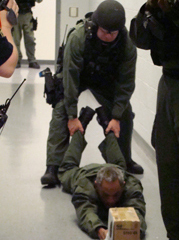 These officers are trained monthly in defensive tactics, weaponry and crisis negotiations. 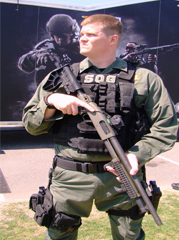 An additional duty of the SOG Team is to secure the perimeter in times of emergencies.